Writing a professional letter of advice for a colleague, friend or family member is a task that should not be taken lightly. In most cases, if someone approaches you for professional advice, it is because they have reached a point in their decision-making where they realize that they need help to make a sound decision. This means that your advice will be taken very seriously. Therefore, the first thing you should do before giving advice is to be sure that you are in a position to advise this person appropriately. Only when you are sure that you have something to offer, then you should start to write your letter giving professional advice. Respond quickly after the request for advice. This is the best way to help the person with their dilemma. Always write respectfully. Take care that your language doesn't sound judgmental, and could not be misconstrued as offensive. If there are any aspects that you feel you cannot advise on appropriately, do not. It is better not to give any advice than to give bad advice. If the topic is a sensitive or monetary issue, consider your approach carefully. Even if you feel very knowledgeable on the issue, do not come across as arrogant. Following these tips will help you to write a letter of professional advice that is communicative and direct, but not arrogant or misplaced it its message. This advice will get you halfway there. 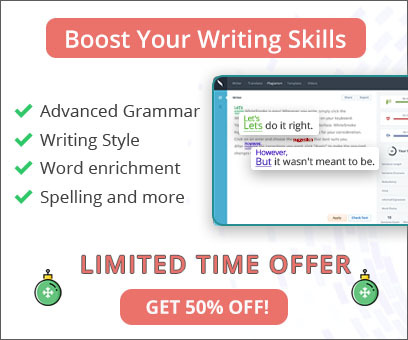 To really give your letter its finishing touches, you need a comprehensive English grammar tool. 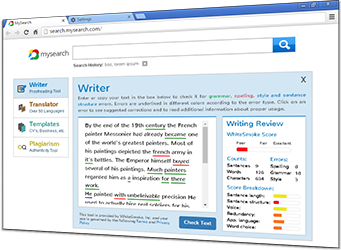 A rich English vocabulary and perfect grammar and spelling will convey the experience and knowledge that is behind your advice appropriately. Below we will give an example of a 'bad' letter of professional advice, followed by a text that follows our tips, and has been proofread by WhiteSmoke online writing software. The example below is based on advice given for opening up a small business, but the principles are similar for any type of professional advice letter. Seeing that you had thought to ask me my thoughts on going into business for yourself, I will tell you about my great success. When I was around your age, I first went into business myself, and reall succeeded ? I hope you actually have the experience behind you to make the same achievements. Of course, working for youself has its good and bad points. Being your own boss is appealing and brings with it a sense of freedom, but you will often work much longer hours and have many more responsibilities to juggle. When something goes wrong, the buck stops with you. In general, the possibilities are greater, but so are the risks. As you know, the small business I started back then has become a great success, and I worked damn hard for it. Unfortunately, not all small businesses can stay the same. The best advice I have for you is to approach as many successful business owners as possible and pick their brains. It is also worth investing some money into professional market analysis, as this can give you a great indication of what the market opportunities are. All in all, I know you have a strong work ethnic and a good mind for business, so I feel confident that you can make your idea a success. I wish you the best of luck, and remain available if you need any further assistance. Seeing as you asked for my thoughts on going into business for yourself, I will tell you about my own experiences. When I was around your age, I first went into business myself, and it was as difficult a decision for me then as it is for you now. Of course, working for yourself has its good and bad points. Being your own boss is appealing and brings with it a sense of freedom, but you will often work much longer hours and have many more responsibilities to juggle. When something goes wrong, the buck stops with you. In general, the possibilities are greater, but so are the risks. As you know, the small business I started back then has become a great success. Unfortunately, not all small businesses can say the same. The best advice I have for you is to approach as many successful business owners as possible and pick their brains. It is also worth investing some money into professional market analysis, as this can give you a great indication of what the market opportunities are. All in all, I know you have a strong work ethic and a good mind for business, so I feel confident that you can make your idea a success. I wish you the best of luck, and remain available if you need any further assistance. It is often the case that an otherwise good letter is let down by unnecessary English grammar and spelling errors. These days we often write quickly, with our minds else where, and sometimes there just isn't time to do a proper proofread of all your letters. WhiteSmoke has specifically been designed to help in such situations.